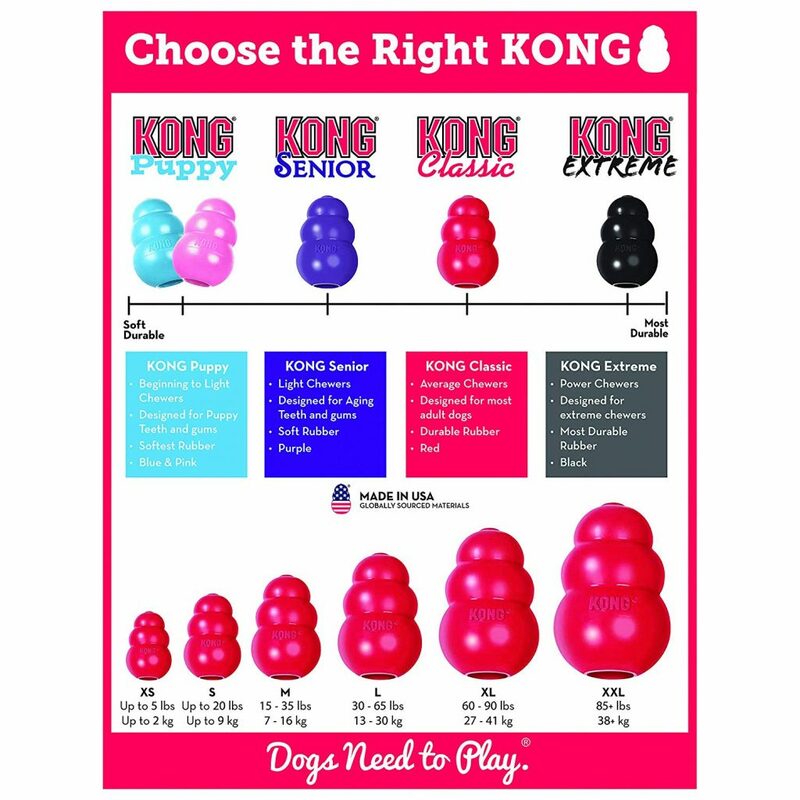 KONG Classic is the GOLD Standard of dog toys and has become the staple for dogs around the world for more than 4 decades. 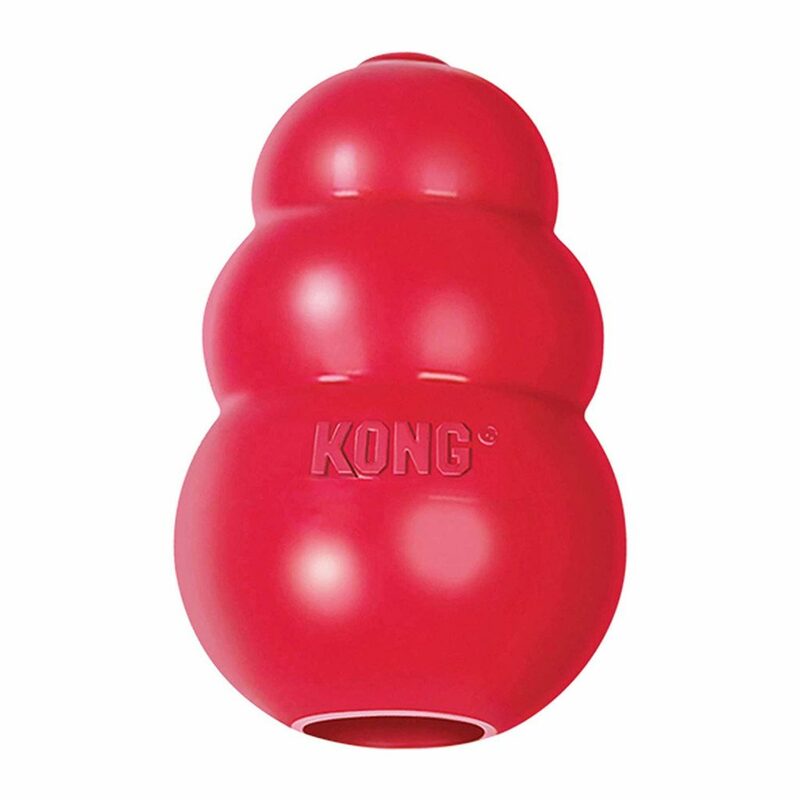 Offering enrichment by helping satisfy dogs' instinctual needs, the KONG Classic's unique natural Red rubber formula is ultra-durable with an erratic bounce that is ideal for pooches who like to chew, while also fulfilling a dog's need to play. Want to extend the play time? Be sure to stuff with tempting bits of kibble and entice with a dash of peanut butter. Add to the fun by adding your dog’s favorite treats. -- Made in the USA. -- Use as a fetch stick that's both safe and reliable. -- Helps clean teeth and soothe gums. 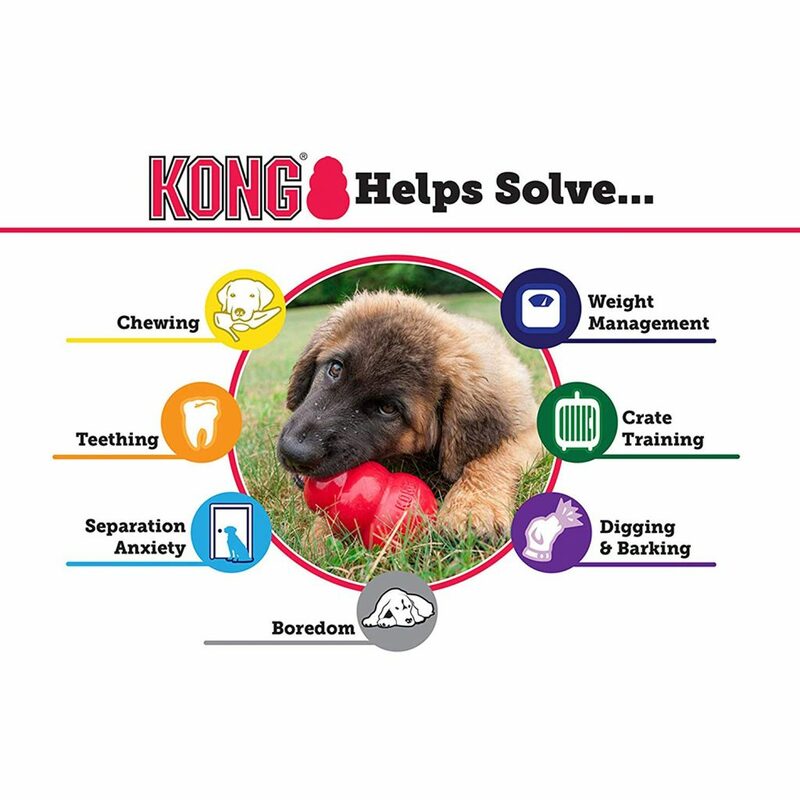 -- Recommended by veterinarians and trainers worldwide.